Apparently acknowledging criticism that the timetable for physicians to participate in the Quality Payment Program under the Medicare Access and CHIP Reauthorization Act (MACRA) next year may be too fast for some, the Centers for Medicare & Medicaid Services (CMS) is giving you some options. In a blog post this week(blog.cms.gov), Acting CMS Administrator Andy Slavitt laid out the four options, which let physicians and other providers pick the pace of their participation in the first performance period that begins Jan. 1. Choosing one of these options would ensure you do not receive a Medicare payment cut in 2019. The first option is more of a test of the Quality Payment Program, allowing you to avoid the 2019 payment penalty if you submit at least some data after Jan. 1. The idea is that you will show your system is operating and prepared for broader participation in 2018 and 2019. The second option is participating for part of 2017 as opposed to an entire calendar year. 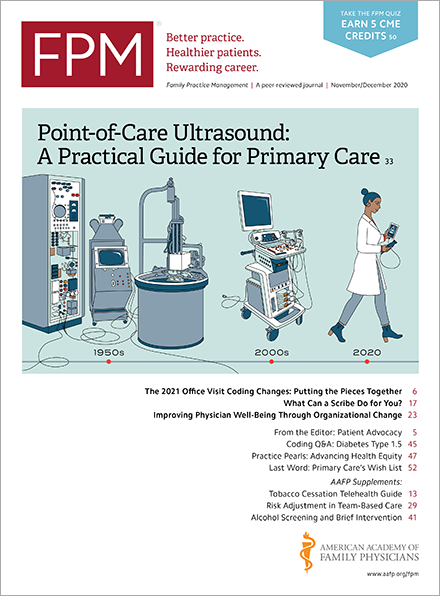 For example, Slavitt writes, you could submit data for a period starting later and Jan. 1 for quality measures, how your practice uses technology, and what improvement activities your practice is undertaking. and still qualify for a small payment bonus. If your practice was already expected to be prepared to participate fully in the Quality Payment Program on Jan. 1, you can take option three, which has you submitting a full calendar year of data for the program and qualifying for a modest positive payment adjustment. The final option is to ignore submitting quality data and other information entirely and join an Advanced Alternative Payment Model in 2017, as provided in MACRA. Physicians who meet the required level of Medicare payments or patients through this alternative model would qualify for a 5 percent incentive payment in 2019. CMS will provide more details about these options and the Quality Payment Program in general when it releases its final rule on MACRA implementation by Nov. 1.